Baseball stadiums are noticeably different from location to location. More so than basketball, football, or any other sports, MLB fans can have a great experience at one ballpark and a horrid experience at another one. This goes beyond modern updates and parking situations; we’re talking about poor sight lines, the general atmosphere, and adverse weather. 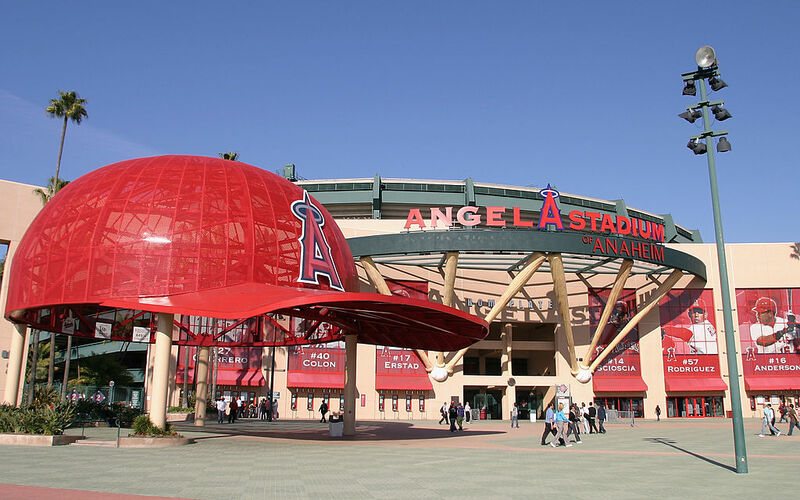 We already looked at the best places to watch a pro baseball game, so here are the worst MLB stadiums currently in use. We suggest waiting until these teams play some matchups on the road to catch a game. 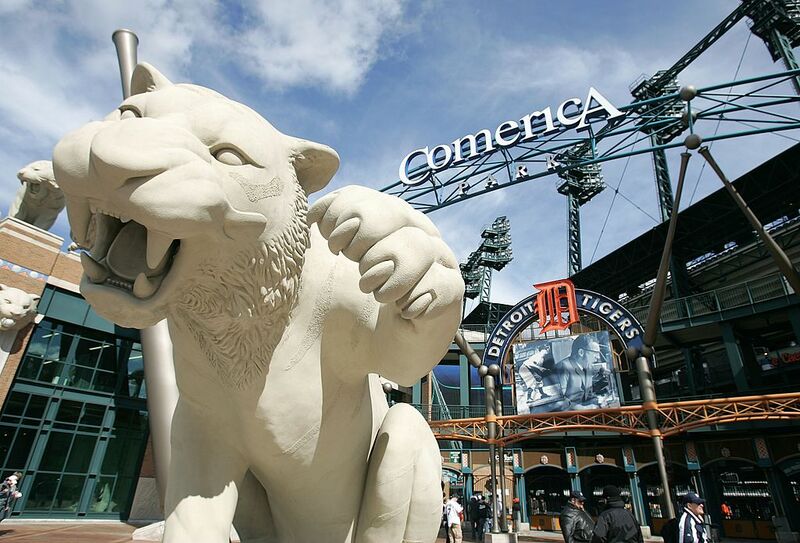 There’s nothing specifically bad about Comerica Park in Detroit — but it’s probably not worth your money, compared to other ballparks you could visit. Depending on where you’re sitting, it offers an awesome view of the outside of Ford Field, the home of the Detroit Lions. Whether it’s the beer signs on the short outfield walls or the opportunity to watch an outfielder chase a ball hit over his head for days, there’s just something about baseball in downtown Detroit. Opened in 2000, Comerica features such interesting gimmicks as a Ferris wheel and a museum on site. While the Tigers come in around middle-of-the-pack as far as total cost of attending a game when compared to the rest of Major League Baseball, the fact is that similar or less money could be spent on attending a game at beautiful Petco Park in San Diego, Camden Yards in Baltimore, or Target Field in Minnesota. Next: A great park if you love cheap home runs. 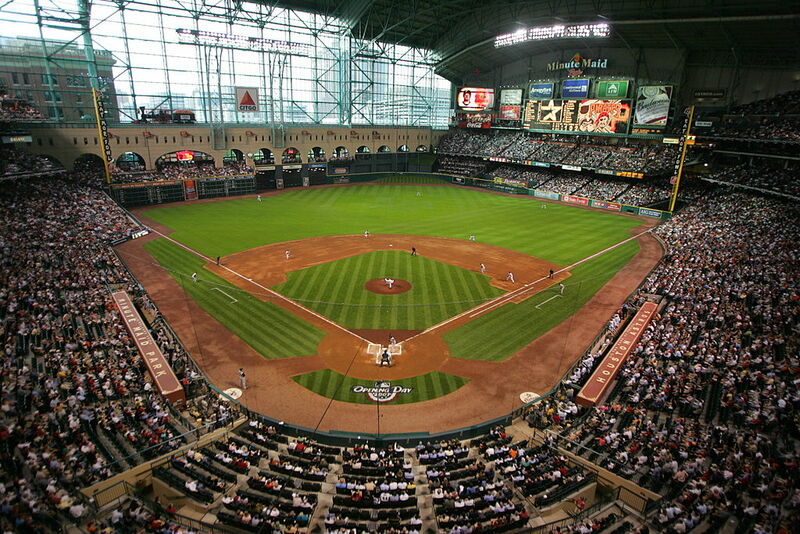 Built back in 2001, the Houston Astros’ ballpark was once tragically known as Enron Field. Just as the scandal surrounding that name was hitting the news stations, the Astros went forward in a different direction with the naming rights: Minute Maid Park. Of course, the steroid controversies in Major League Baseball followed, giving the ballpark–which was well known for cheap home runs–an ironic nickname: The Juice Box. Truth be told, there are some nice things about Minute Maid Park. There’s quality food, relatively cheap tickets, and an Astros team that won it all in 2017. But some of the stuff you have to see and hear in the park drags it down the list; a train on top of the wall behind left field, bleacher seats that jut out into the outfield, creating awkward plays for an outfielder, and a hill in center field with a pole in the middle of it — or at least, until recently on that last one. In 2003, Milwaukee Brewers slugger Richie Sexson hit a baseball about a million feet to center field, only to have it hit that pole about a third of the way up and only get a triple for his effort. Next: Watching an all-time great player is pretty much the only reason to go. I don’t think that there is anything more representative of living in southern California than being able to watch traffic while at a baseball game. … And if you do decide to walk to or from the stadium to the bar, be prepared to take your life in your hands. The road that leads to the stadium doesn’t have sidewalks and includes an underpass where Anaheim’s homeless like to gather/use as a toilet. This all completely overlooks the fact that the Angels are extremely mediocre without a ton of hope to be good again in the future, but at least they have Mike Trout and relatively cheap tickets? Next: The team and the architecture are equally bad. Even though the Miami Marlins built Marlins Park just a few years ago, it still qualifies as one of the worst MLB stadiums in the game. Located two miles from the downtown Miami area, the 17-acre park showcases a “neo-modern” form of baseball architecture. 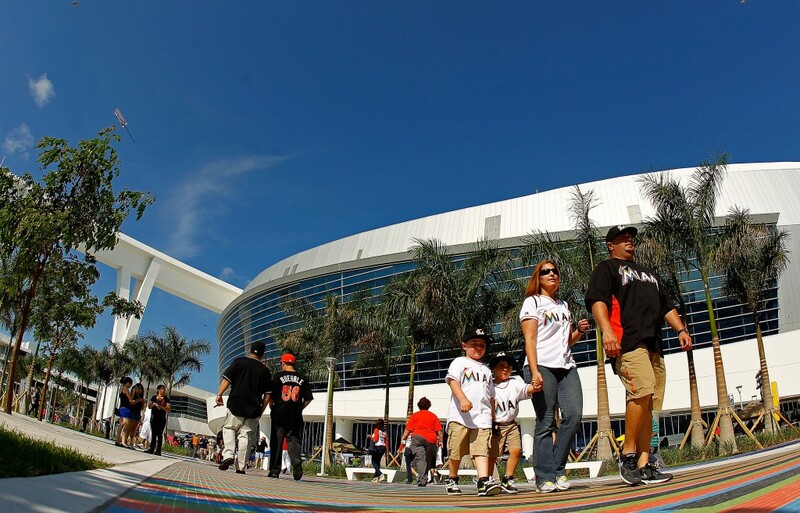 Owner Jeffrey Loria used taxpayer money to construct it, which led to a messy lawsuit. The stadium has a massive sculpture thingy in center field, a nightclub in left field, and aquariums in the walls behind home plate. Back in 2012, the franchise spent big money to put a winner on the field for the inaugural season of Marlins Park. But the Marlins almost immediately fired their manager, traded away key players, and created massive disinterest among their fanbase in general. The retractable roof is nice — it’s the sixth MLB park to feature one. However, in a stadium that seems empty so frequently, the rest of the stuff makes Marlins Park seem like a gimmicky eyesore. Next: Where baseball and heatstroke sometimes intersect. When Globe Life Park in Arlington opened in 1994, many revered it as one of the nicer parks in baseball. Unfortunately, it regressed among the list of places to see a major league game. The Texas Rangers‘ stadium includes a four-story office building, 12-acre lake, and recreation space around the outside of the property. Several accidents involving fans falling over railings create a poor reputation for the Rangers’ park. These incidents include one that resulted in the tragic death of a man attending a game with his son back in 2011. 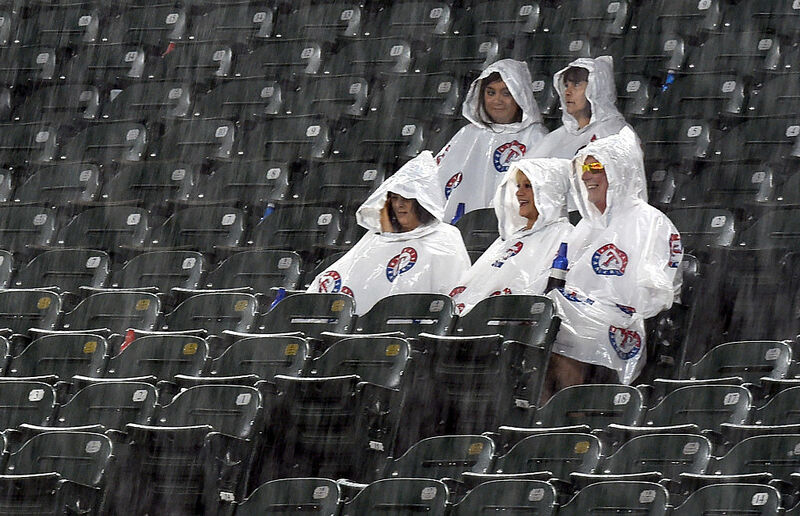 Other complaints about the stadium involve the lack of retractable roof, which can make games in the dead heat of Texas summers a bit hard on players and fans. Recently, commissioner Rob Manfred made a case to help the Rangers get a new ballpark by 2021. Next: The team and the stadium don’t give fans much to cheer about. 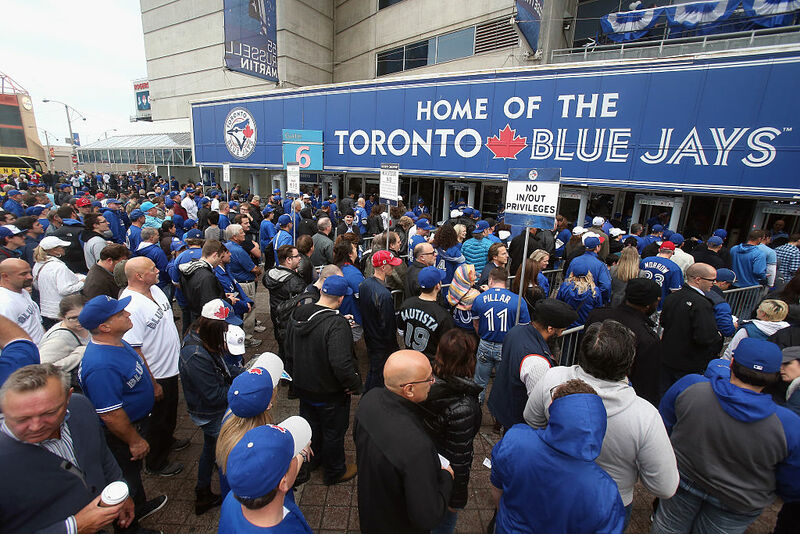 Since 1989, the Toronto Blue Jays have called the Rogers Centre in Toronto, Ontario their home. Financial problems arose from the very beginning of the stadium’s construction, which features astroturf, a cavernous outfield, poor views inside the ballpark, and a retractable roof that opens three-quarters of the way. On the positive side, the Blue Jays gave fans a lot to cheer about in 1992 and 1993; they won the World Series both seasons. Unfortunately, from 1993 until 2015, the Jays didn’t qualify for the playoffs once, which makes a rough ballpark less appealing. Next: It’s the other stadium in town. Talk about mistakes; Guaranteed Rate Field has plenty of them. Built in the early ’90s as a relatively cookie-cutter stadium at a time when Camden Yards, PNC Park, AT&T Park, and other great ballparks loomed on the horizon, the stadium offers no clear views of downtown Chicago and is generally not aesthetically pleasing. 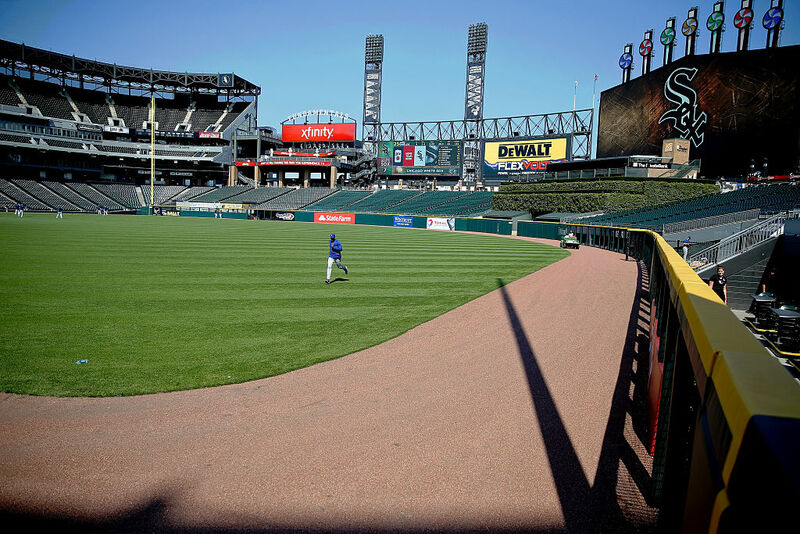 In a city that’s a wonderful baseball destination, little stands out in a prominent way about the White Sox’s park. Next: Aside from a few gimmicks, there’s nothing special about this place. Chase Field, home of the Arizona Diamondbacks since 1998, has one of the weirdest, most cavernous outfields in all of baseball. With high walls in center field and a black batters eye that jets out 413 feet from home plate, players could run forever if they hit the ball just right. It has a retractable roof and a swimming pool just beyond the right-field wall, which is important in dry, hot Arizona. 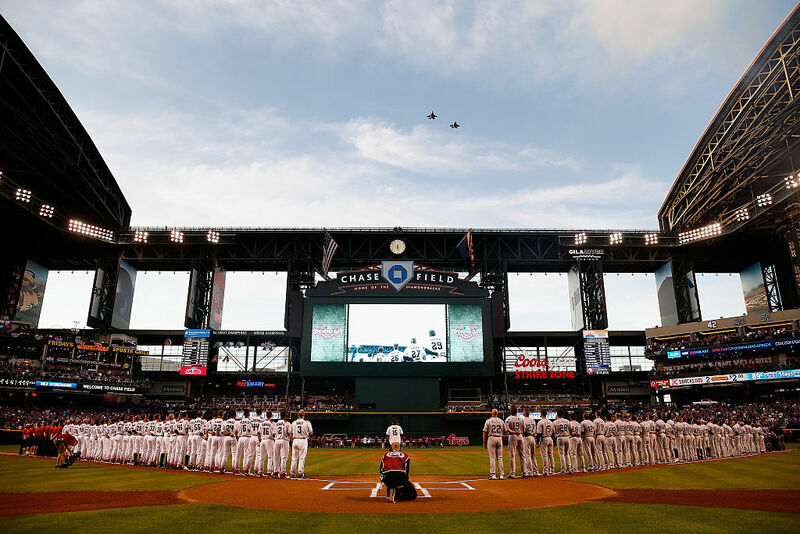 But the Diamondbacks generally aren’t a thrilling team, so pairing them with a ballpark that elicits little in the way of excitement seems fitting somehow. They did win a World Series back in 2001 — just three years after being an expansion team — but since then, Arizona fans face more disappointment than success. Next: We can never remember what name this stadium goes by. 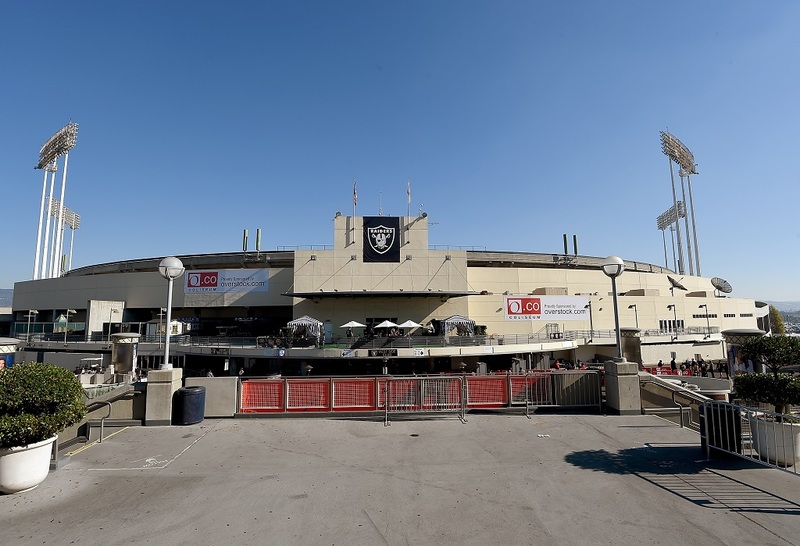 The Oakland stadium that houses the A’s — as well as the Raiders, for the moment — has existed since 1966, operating under several different names. Previously Network Associates Coliseum, McAfee Coliseum, Overstock.com Coliseum, and the O.co Coliseum, the park has no real view outside of the ballpark with massive areas in foul territory that make it a difficult place for hitters. Additionally, there is a whole section of seats closed off from the fans. This is likely because of how unpleasant it looks when there are so many empty seats at each game. Back in June 2013, the park experienced a sewage backup that forced the visiting team to share a clubhouse with the A’s. Talk about a dump. Next: A mecca if you want to watch baseball played in a hockey stadium. 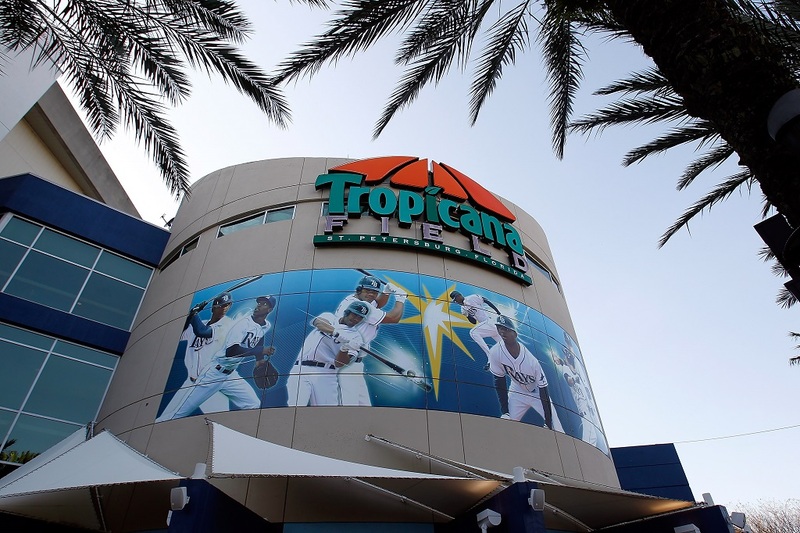 Tropicana Field, home of the Tampa Bay Rays, was never really intended for the MLB team. It originally opened in 1990 as the home to the NHL’s Tampa Bay Lightning for a few years. The Rays arrived in ’98 (the same year as the Diamondbacks in Arizona). And they’ve played in the ballpark ever since. The stadium features turf that looks like carpeting, a ridiculously high ceiling with catwalks that have their own ground rules, and a kind of cold interior with no real views to speak of. The park actually resides in St. Petersburg across a single bridge, which makes it difficult to get to. They gradually cut back from over 45,000 seats to just 31,000. This does not include seats perpetually covered by a tarp to make the stadium a little more aesthetically pleasing. Generally, it’s hard for the Rays to draw a decent crowd. A new park would probably help out a lot.